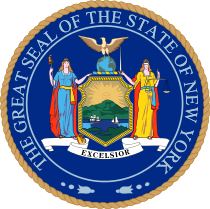 New York has one of the strongest False Claims Act laws in the nation. Designed to combat fraud, New York’s whistleblower law has been a model for other states. Now, however, the shoe is on the other foot. A fired auditor whose job was to uncover Medicaid fraud now claims the state is covering up Medicaid fraud. In a highly unusual move, she filed a federal False Claims Act suit accusing the state’s health department of Medicaid fraud. Medicaid is paid with both state and federal tax dollars. Medicaid fraud could therefore be prosecuted under either a state or the federal False Claims Act. Both laws pay whistleblowers a percentage of whatever the government recovers. With only months on the job, auditor Patricia Monks complained to her supervisor that state health department workers were interfering with her audit work. She says that shortly after her supervisor approached a health department manager both she and her boss were fired. Monks went to the Justice Department but after two years of investigation, nothing happened. Finally, she and several colleagues filed a lawsuit under the federal False Claims Act. The defendant in the case was the Research Foundation of the State University of New York. SUNY had a contract to perform the Medicaid audits. Although the complaint calls the state health department a co-conspirator, they were not directly named. The university’s Research Foundation paid $3.75 million to settle the claim. Monks and her co-workers split an award of $800,000. If this case sounds like it is an aberration, it isn’t. A second group of five state employees including a Medicaid fraud investigator filed their own False Claims Act case with the feds. All five were state health department workers. The defendants in the case have all denied any wrongdoing. Pursuing a false claims act whistleblower case against a government agency is difficult. Although both the New York and federal statutes provide for triple damages and other enhanced ways of calculating damages, pursuing damages against government entities means that taxpayers are taking money from one pocket and putting it in another. If Monks was correct, however, there should be a huge savings for taxpayers. When states exercise lax oversight over public assistance programs, honest taxpayers foot the bill for recipients who shouldn’t be claiming benefits. Think you have inside, “original source” information about Medicaid or Medicare fraud? Give us a call. All inquiries are kept strictly confidential. In the last 12 months we have helped put $100,000,000.00 in whistleblower awards in our clients’ pockets.